That study outcomes don't always matter. Both were reporting on a new study that found that "soda bans" in schools don't in fact impact upon sugar sweetened beverage consumption by students. 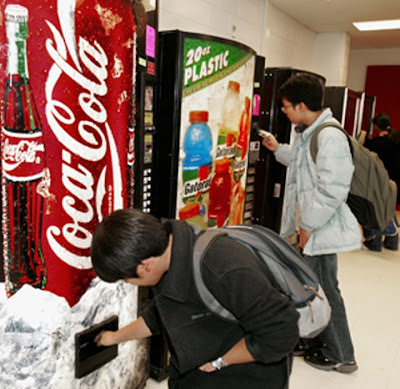 The New York Times' headline was, "Soda Bans in Schools Have Limited Impact", while the LA Times reported, "Soda bans in schools don't stop sugary drink consumption, study says". I can't fault their factual accuracy as indeed it's true that this study didn't find any impact from sugar-sweetened beverage bans in schools. Putting aside methodological questions and the usual arguments surrounding correlation and causation, my most important response is, "So what?". If there were a study that suggested banning smoking in schools didn't curb childhood tobacco use would that be a reason not to ban smoking in schools? And while I can't fault the LA and New York Times' for the accuracy of their reporting, and while perhaps it's even unfair of me, I can't help but wonder whether or not in this world of headline rather than study readers, whether these types of articles will be used in the fight against wise public policy by those who value profits more than health. Schools shouldn't be selling kids sugar sweetened beverages. Sure, kids might buy them on their own outside of school grounds, but that still doesn't make selling them in schools a good idea.